Palmer is surrounded by vast mountain ranges and majestic peaks. These awesome monoliths are an integral part of Palmer’s history and a solid testament to Palmer’s uniqueness. Skiing in Hatcher Pass or ascending into the clouds up Matanuska Peak is an experience one never forgets. North of Palmer are the Talkeetna Mountains, home to Hatcher Pass. A popular skiing area in the winter, Hatcher Pass also affords many opportunities for hiking, rock climbing, and camping in the summer. 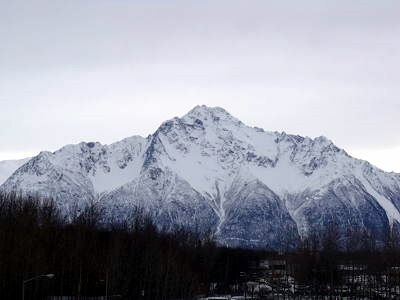 The Chugach Mountains are to the south and east of Palmer. Directly to the east one can see Lazy Mountain and Matanuska Peak. Both these mountains can be hiked and are accessible from just a few miles out of town. It is even possible to sled down parts of the McRobert’s Creek Trail at the base of Matanuska Peak. 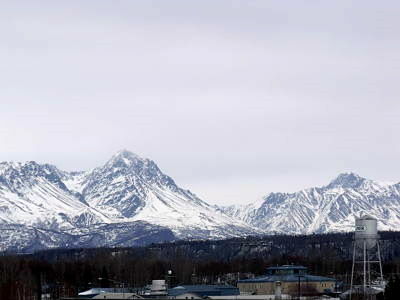 Also part of the Chugach range is Pioneer Peak, just south of Palmer. Named after the pioneers of the mid-1930’s, it is also a popular hiking destination. Next time you’re in Palmer, check out the mountains! You can’t miss them.